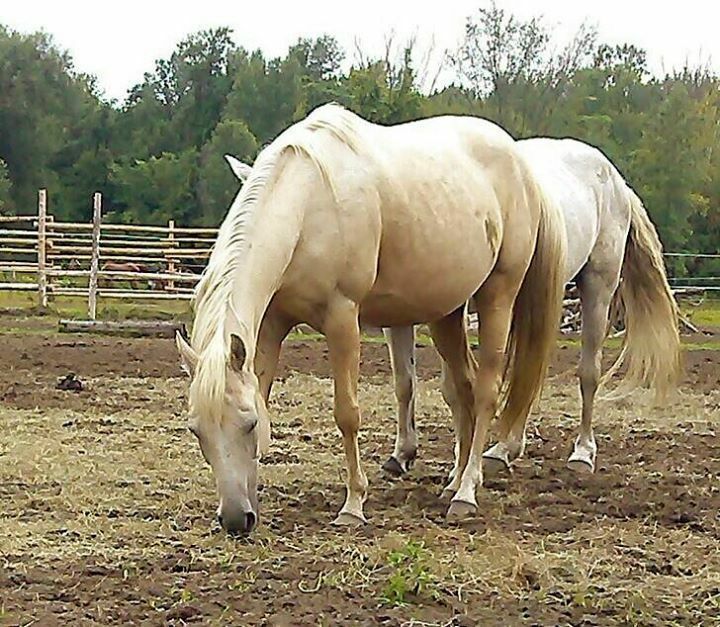 Adoptable Horses - A Little Bit of Heaven, Inc. 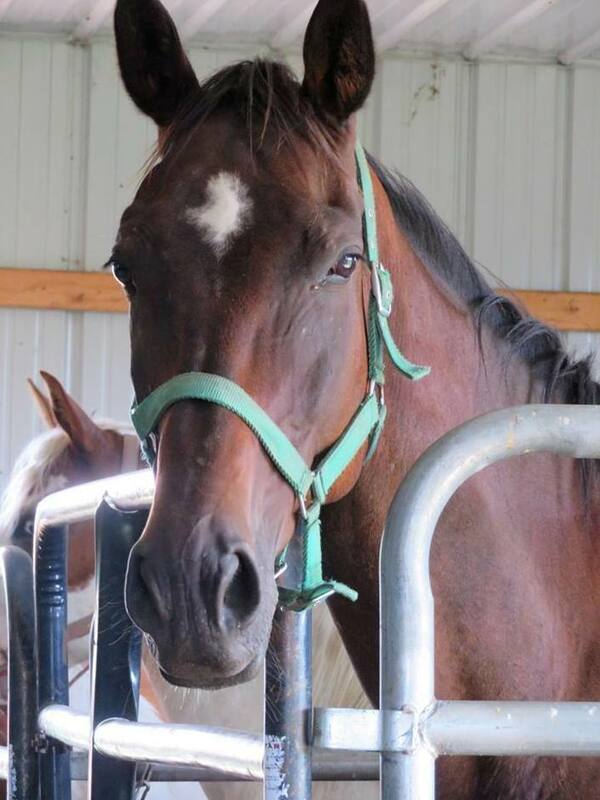 Jewel is a Grade Mare in her Mid-teens (estimated) who was a brood mare for years. Jewels has a loveable but demanding personality and is Miss Independent! She insists she's the one that needs to be petted and no one else does. It is easy to fall in love with her! She came to us as part of a feral herd. She was bred at the time and had numerous foals in her past so we didn’t start her in training except for basic handling. 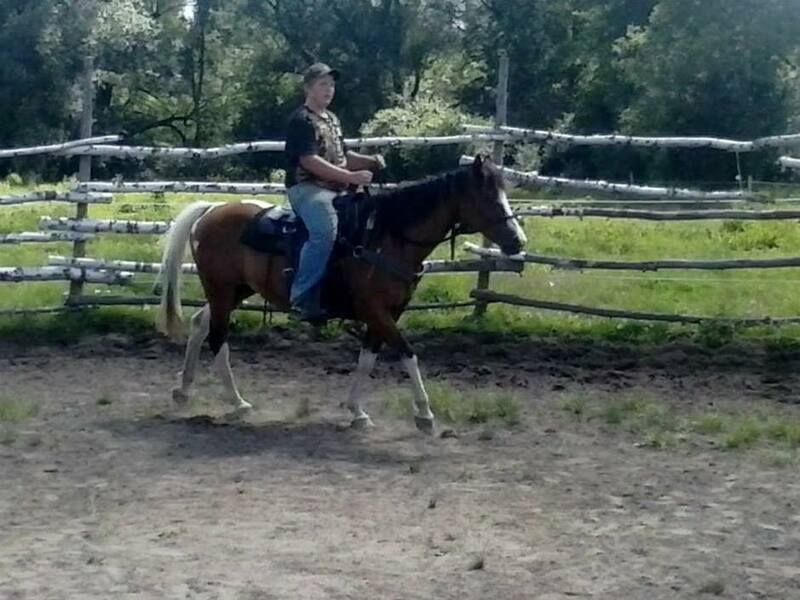 After her foal was born and weaned we were training the younger horses from the herd. We had a long term foster that was interested in her and took her. The foster has had her for a couple years now and was planning on keeping her but had some health issues this fall and decided she isn’t able to care for them anymore. 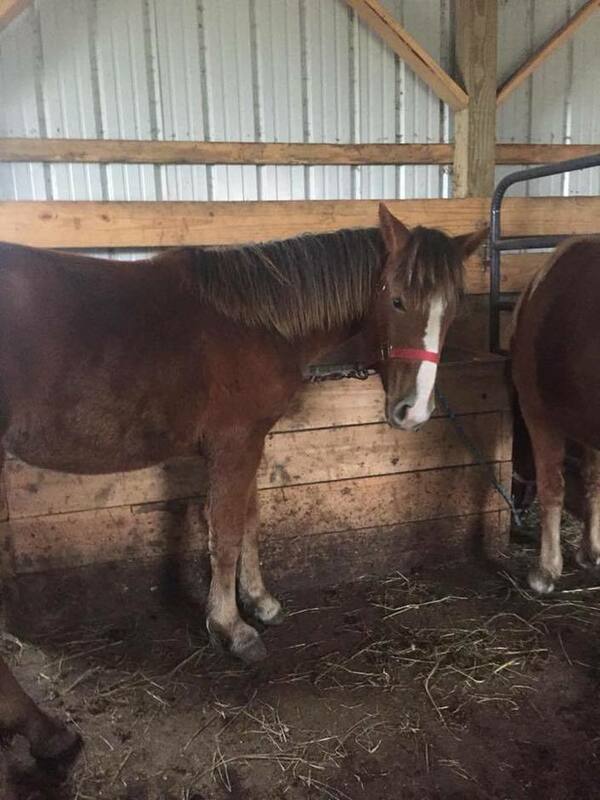 I don’t believe there is any unsoundness issue with her and she may be able to be trained we just had not gotten to it when someone wanted her and with the mud here at the moment we won’t be able to start her till Mother Nature cooperates so we decided to make her available when the foster said she couldn’t keep her. 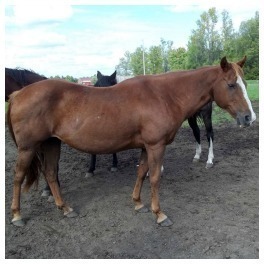 If she does not find the right home we will start her after mud season. Adoption Fee negotiable to the right home! Christmas was born in December 2017 and is a Halflinger cross. 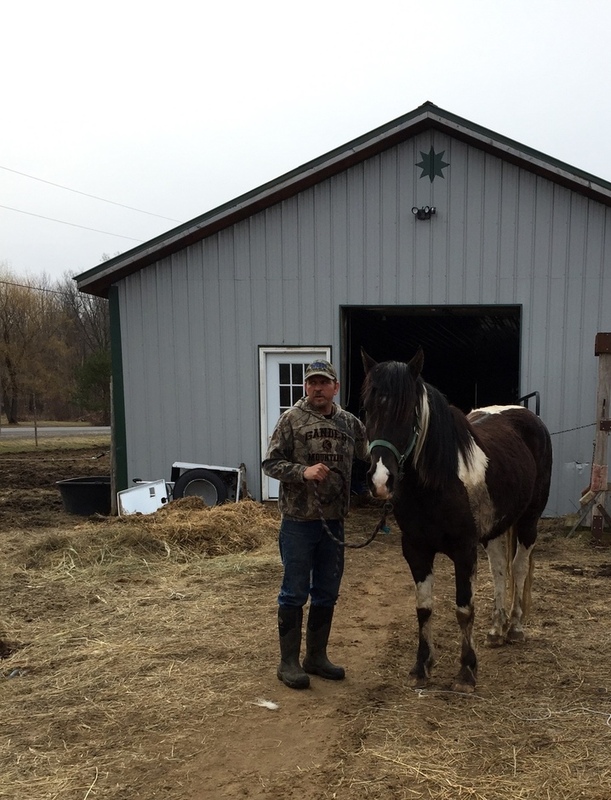 She stands for the vet & Farrier has a valid Coggins, leads & ties! She has a spunky personality and loves to play! Journey has been used in events, rode by kids & beginners. She stands for the vet & farrier and is an absolute love bug. She rides western. She has also been used with special needs kids.Journey came to A Little Bit of Heaven from a herd that was being sent to slaughter.